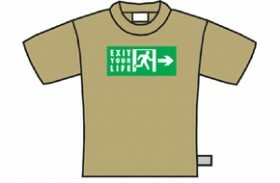 The text reads “Exit Your Life” and the design is screenprinted in green onto a white background. 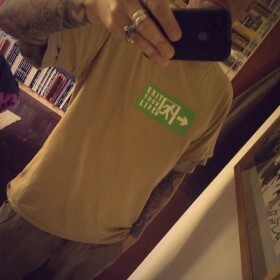 The design is parody of a traditional exit sign. 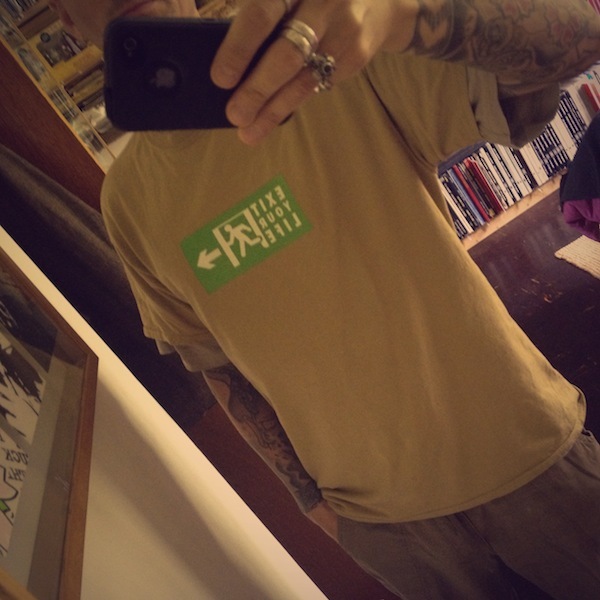 The lightboxes are of limited numbers and can be beyond some peoples pocket, therefore the designs are screenprinted on to these high quality shirts as an affordable alternative. Every t-shirt comes with a sticker and has the A.O.F clothes label to identify it as a genuine A.O.F article.